A new channel has started in DVB-S2 Conax: Animaux (France) on 4111.00MHz, pol.R SR:30000 FEC:3/4 SID:1007 PID:702[MPEG-4]/703 English,704 French. Animaux switched to DVB-S2 at 11512.00MHz, pol.V SR:29950 FEC:3/4 PID:481/482 French. Animaux switched to DVB-S2 at 12285.00MHz, pol.V SR:29700 FEC:2/3 PID:162/88 French. A new channel has started in DVB-S2 Conax & Irdeto 2: Animaux (France) on 11727.50MHz, pol.H SR:27500 FEC:2/3 SID:3012 PID:312[MPEG-4]/412 French. Startimes: New SR for Animaux on 4153.00MHz, pol.R: SR:28485 ( FEC:5/6 SID:1007 PID:702[MPEG-4]/703 French - Conax). Startimes: New SR for Animaux on 4156.00MHz, pol.R: SR:26666 ( FEC:5/6 SID:1007 PID:702[MPEG-4]/703 French - Conax). Startimes: Animaux (France) broadcasts in DVB-S2 Conax on 11900.00MHz, pol.H SR:27500 FEC:3/4 SID:1007 PID:702[MPEG-4]/703 French. Startimes: New frequency for Animaux: 3950.00MHz, pol.R (DVB-S2 SR:16210 FEC:5/6 SID:1007 PID:702[MPEG-4]/703 French- Conax). D-Smart: A new channel has started in DVB-S VideoGuard: Animaux (France) on 11012.00MHz, pol.V SR:30000 FEC:5/6 SID:1446 PID:1146/1246 Turkish,1346 French. Bis & TeleSat: Animaux is now encrypted in Mediaguard 3 & Viaccess 3.0 & Viaccess 4.0 (12692.00MHz, pol.H SR:27500 FEC:3/4 SID:454 PID:104[MPEG-4]/204 French,304 Turkish). Bis: Animaux (France) is now transmitted Free To Air (12692.00MHz, pol.H SR:27500 FEC:3/4 SID:454 PID:104[MPEG-4]/204 French,304 Turkish). Animaux is now encrypted in Conax (3927.00MHz, pol.R SR:8300 FEC:5/6 SID:1007 PID:702[MPEG-4]/703 French). A new channel has started in DVB-S2 Clear: Animaux (France) on 3927.00MHz, pol.R SR:8300 FEC:5/6 SID:1007 PID:702[MPEG-4]/703 French. Bis & Orange: New SID for Animaux on 11512.00MHz, pol.V FEC:7/8 SR:29947: SID:208 ( PID:481/482 French - Viaccess 2.5 & Viaccess 3.0). Bis & Orange: A new channel has started in DVB-S Viaccess 2.5 & Viaccess 3.0: Animaux (France) on 11512.00MHz, pol.V SR:29947 FEC:7/8 SID:704 PID:631/632 French. Animaux is now encrypted in Mediaguard 2 & Mediaguard 3 & ThalesCrypt & Viaccess 2.5 (11681.00MHz, pol.H SR:27500 FEC:3/4 SID:203 PID:162/88 French). Animaux (France) is now transmitted Free To Air (11681.00MHz, pol.H SR:27500 FEC:3/4 SID:203 PID:162/88 French). Canal: Animaux is now encrypted in Mediaguard 2 (12285.00MHz, pol.V SR:27500 FEC:3/4 SID:17022 PID:162/88 French). 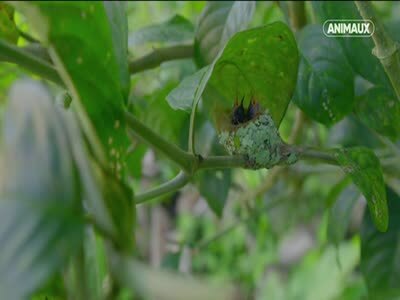 Canal: Animaux (France) is now transmitted Free To Air (12285.00MHz, pol.V SR:27500 FEC:3/4 SID:17022 PID:162/88 French). Canal: New frequency for Animaux: 12610.50MHz, pol.V (DVB-S SR:22000 FEC:5/6 SID:9607 PID:166/104 French- Viaccess 2.5). AB Sat & Arabesque & France Telecom Cable & NC Numéricable & Noos Numérique: Animaux is now encrypted in Mediaguard 2 & ThalesCrypt & Viaccess 2.5 (11681.00MHz, pol.H SR:27500 FEC:3/4 SID:203 PID:162/88 French). AB Sat & Arabesque & France Telecom Cable & NC Numéricable & Noos Numérique: Animaux (France) is now transmitted Free To Air (11681.00MHz, pol.H SR:27500 FEC:3/4 SID:203 PID:162/88 French). France Telecom Cable & NC Numéricable & Noos Numérique: Animaux is now encrypted in Mediaguard 2 & ThalesCrypt & Viaccess 2.5 (11681.00MHz, pol.H SR:27500 FEC:3/4 SID:203 PID:162/88 French). France Telecom Cable & NC Numéricable & Noos Numérique: Animaux (France) is now transmitted Free To Air (11681.00MHz, pol.H SR:27500 FEC:3/4 SID:203 PID:162/88 French). France Telecom Cable & NC Numéricable & Noos Numérique: Animaux is encrypted again after being temporarily unencrypted on 11681.00MHz, pol.H SR:27500 FEC:3/4 SID:203 PID:162/88 French (Clear). Canal: Animaux is encrypted again after being temporarily unencrypted on 12285.00MHz, pol.V SR:27500 FEC:3/4 SID:17022 PID:162/88 French (Mediaguard 2). AB Sat & France Telecom Cable & NC Numéricable & Noos Numérique: Animaux is now encrypted in Mediaguard & Mediaguard 2 & TPScrypt & Viaccess 2.3 & Viaccess 2.4 (11681.00MHz, pol.H SR:27500 FEC:3/4 SID:203 PID:162/88 French). AB Sat & France Telecom Cable & NC Numéricable & Noos Numérique: Animaux (France) is now transmitted Free To Air (11681.00MHz, pol.H SR:27500 FEC:3/4 SID:203 PID:162/88 French). Canal: Animaux is now encrypted in Mediaguard 2 (12265.00MHz, pol.H SR:27500 FEC:3/4 SID:17002 PID:162/88 French). Canal: New frequency for Animaux: 12285.00MHz, pol.V (DVB-S SR:27500 FEC:3/4 SID:17022 PID:162/88- Mediaguard).